Samsung Galaxy J7 2016 was officially launched in March last year, and after more than a year, the phone has finally received the official Android Nougat update. 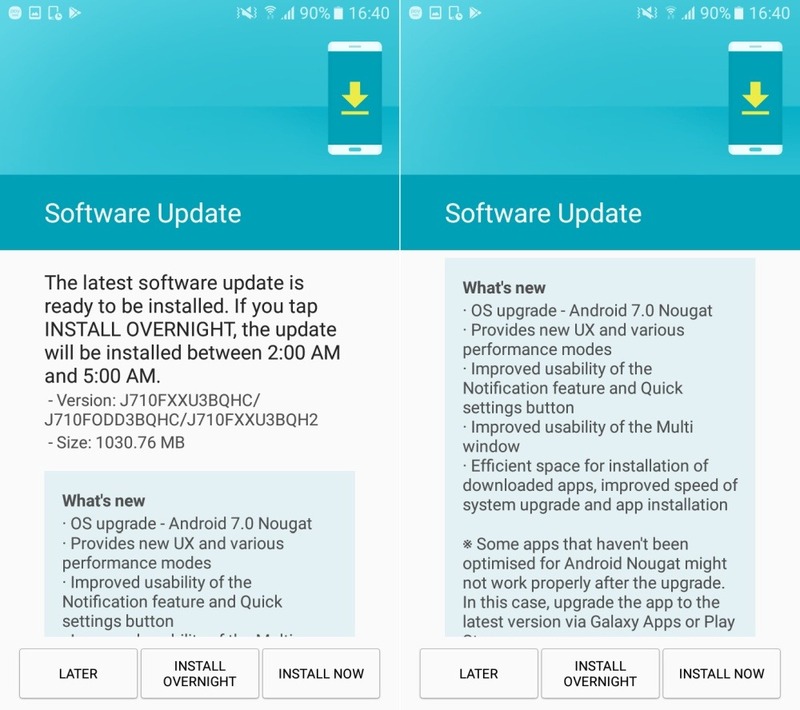 Samsung is now rolling out the Android Nougat update for the device in India, and with this update, the long wait of the owners of J7 2016 ends as they will be getting a new Android version with new features. Efficient Space for Installation of the downloaded apps, improved speed of system upgrade and app installation. So, have you got this new update? If yes, how is your experience with the Android Nougat on your Samsung Galaxy J7 2016? Are there any bugs? Let us know in the comments section.